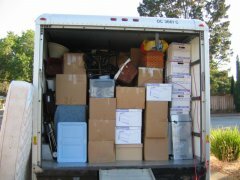 This posting summarizes the factors and standard Indiana courts use to decide a relocation case. In 2006, the Indiana General Assembly added to the Family Law Title of the Indiana Code an entire chapter concerning the relocation of a custodial parent. See Ind. Code § 31-17-2.2. This new chapter was summarized by our Supreme Court in Baxendale v. Raich, 878 N.E.2d 1252 (Ind.2008). (6) other factors affecting the best interests of the child. (a) Not later than sixty (60) days after receipt of the notice from the relocating individual under IC 31-14-13-10 or this chapter, a nonrelocating parent may file a motion seeking a temporary or permanent order to prevent the relocation of a child. (b) On the request of either party, the court shall hold a full evidentiary hearing to grant or deny a relocation motion under subsection (a). (c) The relocating individual has the burden of proof that the proposed relocation is made in good faith and for a legitimate reason. (d) If the relocating individual meets the burden of proof under subsection (c), the burden shifts to the nonrelocating parent to show that the proposed relocation is not in the best interest of the child. If the non-relocating parent does not file a motion to prevent relocation, then the relocating parent with custody of the child may relocate. Baxendale at 1256, see I.C. § 31-17.2.2-5(e). If the non-relocating parent does file a motion to prevent relocation, then the relocating parent must first prove that “the proposed relocation is made in good faith and for a legitimate reason.” Swadner, 897 N.E.2d at 976 (quoting I.C. § 31-17-2.2-5(c)). If this burden is met, then the non-relocating parent must prove that “the proposed relocation is not in the best interests of the child.” Id. (quoting I.C. § 31-17-2.2-5(d)). Under either a motion to prevent relocation or a motion to modify custody, if the relocation is made in good faith “both analyses ultimately turn on the best interests of the child.” Swadner, 897 N.E.2d at 976. (2) The wishes of the child's parent or parents. (3) The wishes of the child, with more consideration given to the child's wishes if the child is at least fourteen years of age. (C) any other person who may significantly affect the child's best interests. To discuss this further please contact me. For more on information on custody or relocation disputes, see all custody blog entries here.